You don’t need to face removal or deportation alone. At Andres Mejer Law, our New York and New Jersey immigration lawyers can work to help you stay in the U.S. Many immigrants like you and me have come to the US for a number of reasons, but at the core we all want a better life than the one we left behind. No matter why you left your country, if you are like most immigrants you want to stay in the US. When facing deportation (or removal, as it is now known), I understand how you may feel that your entire life is in danger. Let us help you stay in the US. You need an attorney to help you. 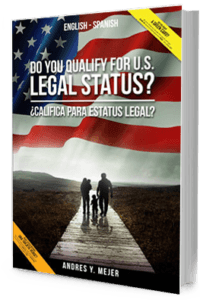 An experienced attorney can may make the difference between staying in the US and having to restart your life back home. Proving that the reason for removal is wrong: If you have lawfully lived in the US for a number of years, then we may be able to prove that you should be allowed to stay. If you are facing criminal removal, then we can help you prove that the offense is not a grounds for removal. Challenging criminal charges: Attempting to reopen criminal cases is another way to fight deportation. Depending on your situation and criminal record, it may also be possible to have you released on a bond. Requesting asylum or deportation cancellation: In some circumstances, it is possible to request that the deportation be waived if you face forms of torture in your home country. It is very difficult to be allowed reentry to the US after being removed. You must fight removal now. Contact us today. Is Sen. Ted Cruz right? Are the unaccompanied minors coming to the U.S. because of President Obama’s policies? [Infographic] How long would you wait to be reunited with your family?